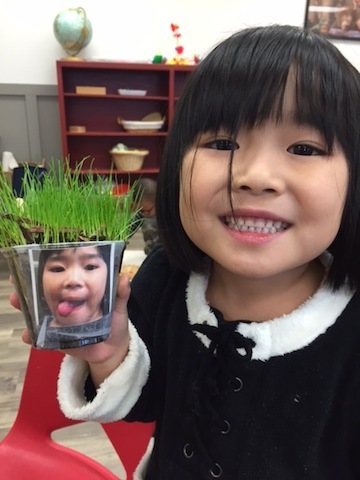 News & Blogs From roots to shoots - kindergartners have sprouted green hair! 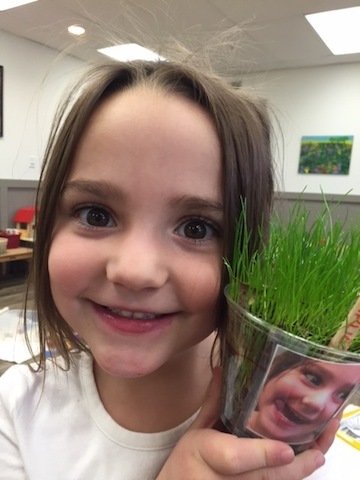 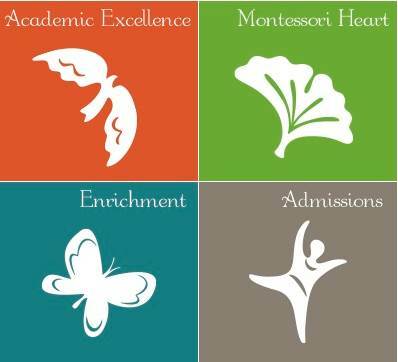 From roots to shoots – kindergartners have sprouted green hair! 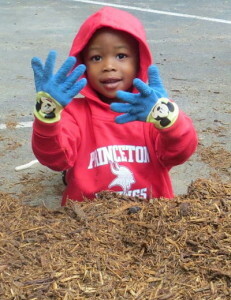 Kindergartners learned all about shoots and roots with preprimary teacher Colleen Blumer. 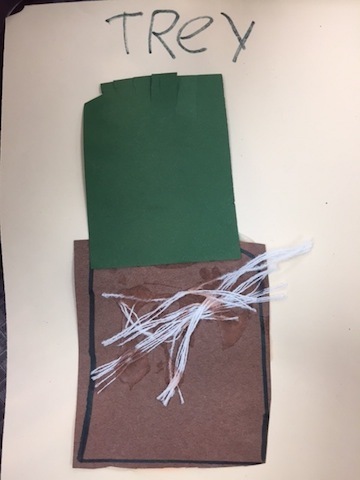 They studied germination in their botany class and created works of art using white string for roots and green construction paper as shoots. 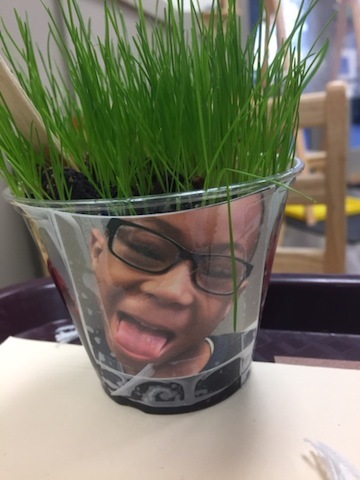 A number of weeks ago, students planted grass seeds in dirt-filled cups. 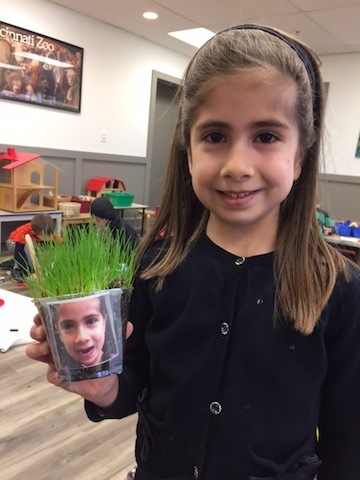 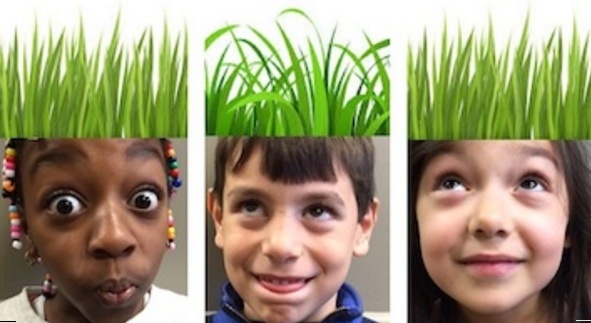 Colleen asked each student to create a goofy-faced pose to represent what they might be feeling if actual green grass were growing from their heads. 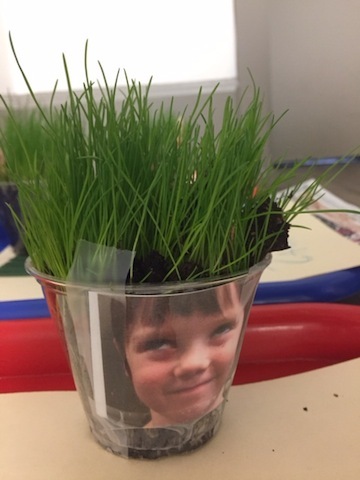 They then planted their faces on the outside of a cup and watched their grassy hair grow.